There are many benefits to using LinkedIn as a sales professional that include everything from personal branding and thought leadership to prospecting, lead nurturing, and recruiting. The problem is, often times, sales professionals don't have time to set up or update the basics of their LinkedIn accounts to best represent them and their company. You can't build a great building on a weak foundation, and the LinkedIn profile is just that: the foundation that could affect the success of your social efforts. Use this checklist to ensure your profile is updated and the best representation of your personal brand, the products you sell, and what you have to offer a prospect. Why is your LinkedIn profile important and what does your LinkedIn profile do for you? A LinkedIn profile is more than just your resume, although many professionals treat it this way. And honestly, the only time it should be focused like a resume is if you're using it as such. But, if you're a sales manager using it for recruitment and hiring, or a sales professional using LinkedIn for prospecting, networking, and/or lead nurturing, your LinkedIn profile is valuable real estate that can either help or hurt your efforts. Your LinkedIn profile can tell a person your story, your background, your expertise, your knowledge, your connections, your passions, and so much more. A prospect interested in your company's products might visit your profile to learn about you before they create a relationship. A potential new hire might browse various employee profiles to get a feel for the personalities they could potentially work with, learn about the company culture, and see how engaged the employees are with company happenings, content, and more. Social selling and recruitment are impactful ways to improve your results - or damage them. Don't lead a prospect astray or turn a potential new hire disinterested when they check out your profile. Use this checklist to ensure your LinkedIn profile is updated and optimized for the tasks you need it to assist you with. Below is an extensive list of areas of a LinkedIn profile that sales professionals should keep updated to ensure their profile is fully optimized and supporting a smart and strategic social selling or recruiting plan. Use an updated, professional profile photo. No selfies, please! This is possibly the first impression of you to a prospect or recruit. Make it easy for someone interested in your products, services, or your company, to get in touch with you when they need to. This is prime real estate -- does your headline answer 'who you help' and 'how you help them?' It should. A good goal is a summary around three paragraphs with three sentences each. Use keywords and key search phrases that buyers or potential new hires might search for. Break down your summary and ensure to include your purpose (from your headline), specifics about your work (include results you've driven, projects you've taken on, and elaborate on how you've achieved the mission you included in your headline). Last, close with a clear call-to-action so that a buyer or potential recruit knows the best way to easily contact you. Write your experience section for your buyers, not your boss. You've already got a job. So, unless you are actually looking to switch gears in your career, you can use your experience section to tell your story and show success to buyers. This section does look like a resume, but keep your buyer or recruit in mind when choosing how you phrase your various experience. Beneath your listings in the experience section, you can include visuals. These could be links to blogs posts or eye-catching documents that might be beneficial to a buyer or recruit. This just adds to your professional story and shows a prospect or a recruit what you're good at, what you've been recognized for, and can establish you as a thought leader on various topics. Don't be shy; it's not boasting. It's just stating what you've been recognized for. Accomplishments. Add all the things. In this section of your profile, you can expand past just awards and honors. Here are some areas to note: organizations you're involved with (membership-driven industry groups, local chambers, etc. ), languages you speak (especially beneficial if you sell or recruit internationally), publications, courses, and projects (this is a great area to list anything major you've helped develop or create as it relates to your role). Do you have any certifications or licenses that contribute to your professional skills or knowledge and set you apart? Don't leave them off your profile. While this doesn't necessarily directly impact your professional skills or problem-solving ability, it humanizes you and shows that you're passionate about something and that you care (about things other than just making a sale). Sales and recruitment is formed on relationships, and showing that you help in the community or abroad is a step to showing your human side. Update your interests and groups. This section lists companies you follow and groups you're a member of on LinkedIn. This can give a buyer insight into your knowledge and areas of expertise. This is something you can do consistently over time, but it's crucial to be deliberate when seeking recommendations. Go beyond your former co-workers and seek your current clients. Think, "Who can validate all these things I say about myself?" 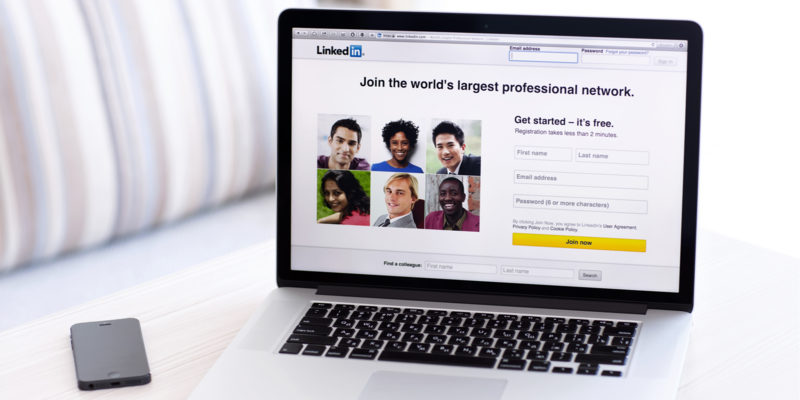 While updating and optimizing your LinkedIn profile is great and vital to your social selling and recruitment success, it's not enough. Sellers and managers should build a strategy around utilizing LinkedIn as a key tool to their success. There are many ways that one can achieve this depending on their role and how they are utilizing this social channel as a sales tool, and you can read more on that here. Social selling and recruiting is a powerful part of the approach in our now transparent sales landscape. Every salesperson should embrace LinkedIn, and other channels, as they plan to approach and attempt to engage with new business prospects or potential new hires. 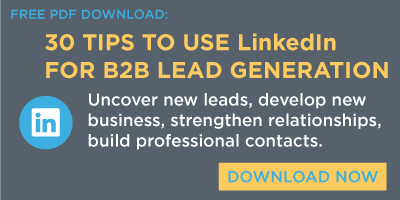 Ensure you are strengthening your personal brand and sales efforts, and not damaging them, by updating and optimizing your LinkedIn profile, and engaging on the platform to support your lead generation, recruiting, and prospecting efforts.